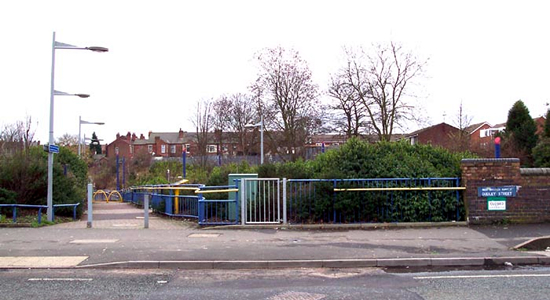 Dudley Street Guns Village Metro stop resides on the revived GWR Snow Hill to Wolverhampton line between the sites of the old West Bromwich and Swan Village stations (although considerably nearer the latter). In terms of distinguishing features, it doesn't really have any. 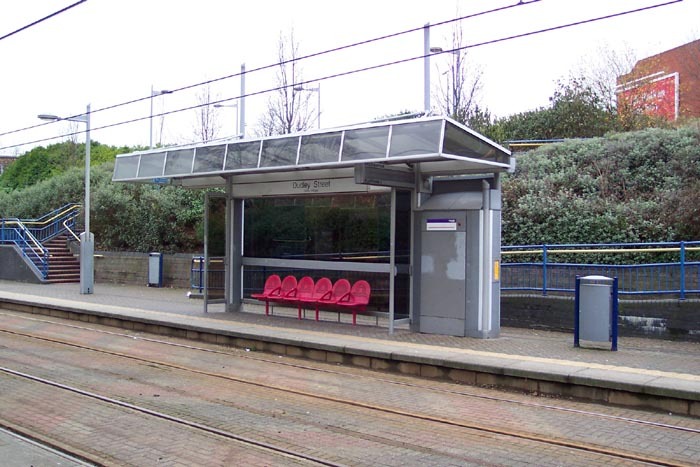 It lies in a cutting and consists of the uniform shelters we have seen elsewhere on the line. 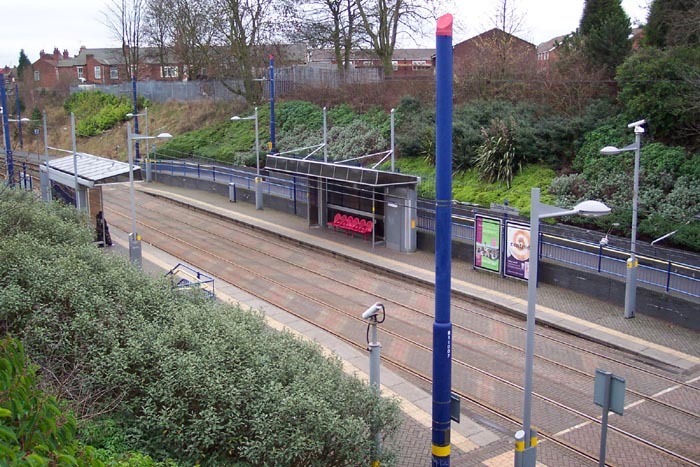 Above we see the entrance to the Birmingham platform from Dudley Street. 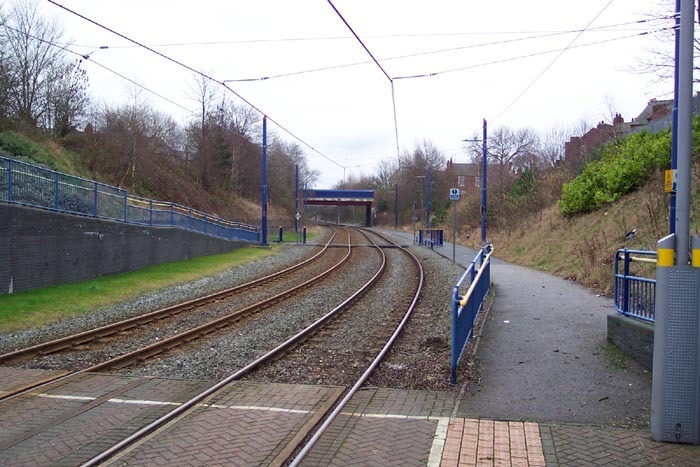 Above-left we have moved part way down the entrance pathway from Dudley Street and are looking down at the Metro stop with the Birmingham platform to our left and the Wolverhampton platform over the tracks to our right. 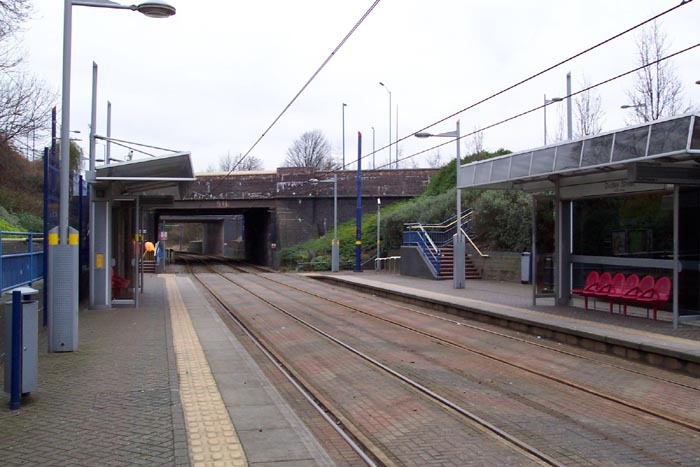 Above-right we are taking a close look at the Birmingham platform shelter from the Wolverhampton side of the tracks. Above-left we are looking towards West Bromwich and Birmingham from the Wolverhampton platform. Above-right we are looking at the Dudley Street road bridge and beyond it the bridge carrying the A41 New Road. Just beyond these bridges, and viewable from the platforms end, is the site of Swan Village station and Black Lake Metro stop.